Win real cash, prizes and rewards every day by participating in freeroll and cash online rummy tournaments. You will find our tournaments easy to understand and register for. Have the most fun when you play Indian Rummy and you can win more than Rs 9000 every day! Your Rummy Passion Freeroll Jumbo Tournament entry is always FREE. We have the Best Rummy Tournaments set up for you at convenient times of day. There are many Free Roll Tournaments you can participate in including Jackpot 1K, Big Jackpot 5K, Jumbo Jackpot 10K and Mega Jackpot 1 Lakh. 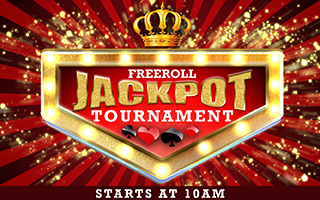 In addition to Free Roll Tournaments, you can participate in Cash Tournaments too! Sign up for Cash 10, Cash 25 or Cash 100 and compete to win big money. You can register for as many as you like! It’s easy to join and Play Rummy Tournaments at Rummy Passion. Just follow these simple steps and you will be on your way to having a great time. Go to Rummy Lobby by clicking “Play Rummy” in the top navigation panel and select "Tournaments" tab on the left side of the screen. All tournaments, cash and free roll are displayed here and you can select the one of your choice. In the corresponding list of tournaments, simply click on the “Register” button for a tournament that you are interested in participating. When you successfully register for a cash tournament, the entry fee is deducted from your account. Once you have registered, the tournament will be listed under My Tournaments, where you can track its status. Players get seated across multiple tables in a random manner based on the number of players who join a tournament. There can be a maximum of 6 players at each table. A maximum and minimum number of participants required for every tournament. If the maximum number of participants has registered for a particular tournament, any subsequent players who wish to register will be waitlisted. If minimum players that are required have not registered, that particular tournament will be cancelled and entry fee will be reversed to your account if playing for cash tournament. The tournaments are usually first-come-first-serve basis. Registration will open 4 hours prior to the starting time of tournament and will close 5 minutes prior to the starting time. If the registered player does not show up at the time of tournament, then game will start with his/her seat reserved on auto play mode. If this player misses 3 consecutive turns he/she will be considered dropped and game will be over for him/her. If he comes before the drop, then he/she can continue his/her game from that point on. When a player registers (whether seats are available or waitlisted), the registration fees will be deducted from their account. Players can even register when all seats are full. They will get waitlisted which is strictly on a first come first serve basis. Any registered player may withdraw his registration till 5 minutes prior to the start time of the tournament. In such a case Waitlist # 1 will get the seat. No cancellations will be entertained if less than 5 minutes are remaining before the start time of the tournament. Waitlisted players who don’t get a seat will get a refund of the registration fee. If tournament is cancelled then full fees will be refunded. Tournament start and cancellation email will be sent to players who have registered at the email address they have registered themselves with. If the registered player is online on our site and playing any other game, a popup window will be displayed to them indicating that the tournament is about to begin, provided that the player has allowed our popup. At any time players can see upcoming tournaments 48 hours in advance, weekly ones 7 days in advance and monthly ones 30 days in advance in both free and cash tournaments. How Free Roll and Cash Rummy Tournaments Work? At the end of a fixed number of deals, players at each table are given ranks in the order of their chip count. The player with the highest chip count on a table will get the highest rank. In case of a tie, players with tied chip count will play a tiebreaker game. These 4 players will play the final round of the tournament. Players who finish with the same table rank at all tables will be treated equally. So, if there is a prize to be given to players who finish 2nd rank on their table in a round, each player finishing at 2nd rank will get same prize and position in the tournament. Each player has 30 seconds during his/her turn to complete his/her move. If a player is unable to complete the move in the specified time, the turn will pass over to the next opponent and the game will continue. If a player misses three consecutive moves, the player will be dropped from the game and middle drop score will be given to such a player.